The Patriots go back out on the road for their fifth game in the last six and their last in the 2017 regular season as they take on the Pittsburgh Steelers. This is still a hat and t-shirt game for the Patriots. With a win or a tie, the Patriots clinch the AFC East once again for the ninth straight time and the 17th since Robert Kraft took over the team in 1994. This week’s game will be broadcast by CBS on Sunday, December 17 at 4:25 p.m. ET and can be seen locally on WBZ-TV Channel 4 in Boston. Jim Nantz will handle play-by-play duties with Tony Romo as the color analyst. Tracy Wolfson will work the sidelines.The game will also be aired on the Patriots flagship radio station 98.5 The Sports Hub with Bob Socci and Scott Zolak on the call, produced by Marc Capello. The Patriots (10-3) are coming off an ugly 27-20 loss to Miami on Monday night. The offense struggled all night long and the defense couldn’t stop Kenyan Drake either running or receiving. They’ll be looking for a bounce-back game. The Steelers (11-2) had another late 4th quarter comeback and pulled off a dramatic 39-38 win over the Baltimore Ravens where Ben Roethlisberger threw for over 500 yards and Antonio Brown had 213 yards receiving. The Patriots and Steelers are meeting for the 31st time and the Steeler and Patriots are tied with 15 wins each. However, during the Bill Belichick era the Patriots are 10-3 against the Steelers and have won the last four meetings including the 2016 AFC Championship Game 36-17 in Gillette Stadium last January. The Patriots running game was steadily gaining momentum with the duo of Dion Lewis and Rex Burkhead giving them big-play potential. The gained nearly 200 yards two weeks in a row against Miami and Buffalo before hitting the wall last week against the Dolphins and abandoning the running game too soon. The Steelers run defense has been pretty good all season but in a short week after losing LB Ryan Shazier to a potential career-threatening injury, they were gashed by the Ravens for 152 yards while averaging 5.8 yards per carry. Now they’ve had time to work out the kinks of replacing Shazier and this will be a key area to watch. If Lewis and Burkhead regain their game this week, it will go a long way in negating the Steelers pass rush and make their job of slowing down Tom Brady and Co. much, much harder. 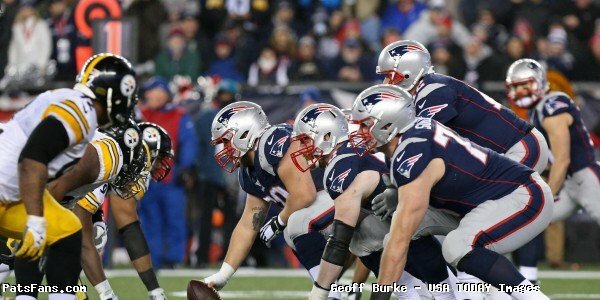 The key from a New England perspective is getting the running game going early and opening up the middle of the field. The Patriots passing game is still tops in the NFL and this week they get Rob Gronkowski back from his one-game suspension. 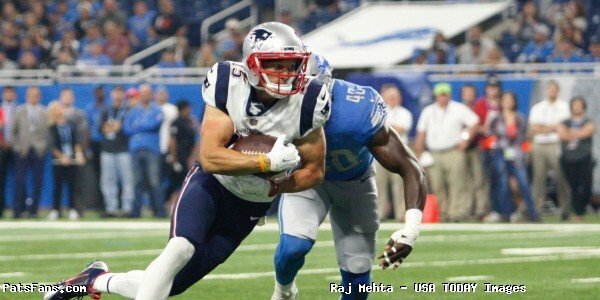 Chris Hogan returned from a shoulder injury last week but was ineffective last week. Ditto for Brandin Cooks. The versatility of the Patriots lies with the multiple running backs they can utilize in the passing game, Lewis, Burkhead and James White. And Danny Amendola does nothing but move the sticks every time he catches the ball. Pittsburgh’s pass defense is the #4 unit in the league, while second in sacks with 41. They can get after the passer in a variety of ways with Cameron Heyward providing them with a career year with nine sacks, Vince Williams with seven and rookie T.J. Watt has six. The Steelers have only allowed an opposing QB to throw for more than 264 yards once (M.Stafford). The pressure on Brady will be the key for them… And will they change their defense from their zone to more of a man scheme? We don’t have to repeat the stats Brady has against Pittsburgh, he’s had his way with them for 16 years. And with the Patriots offense, it is all about spreading the ball around. 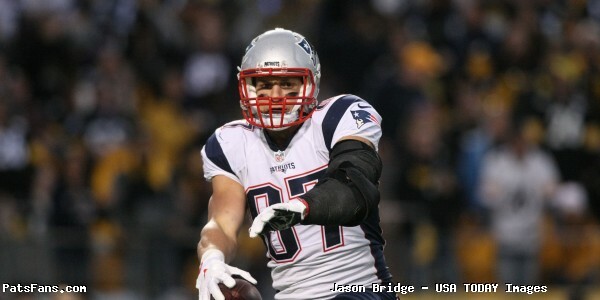 Gronkowski leads the team with 55 receptions, White and Cooks have 54 each while Amendola has 52. Hogan who missed four games has 34. 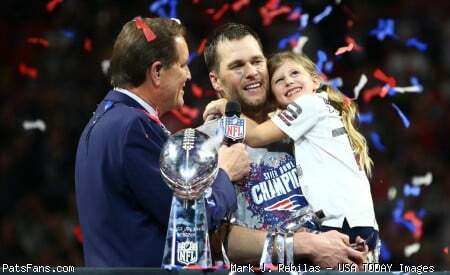 While everything goes thru Gronkowski, for Brady it is about sharing the wealth. If he has time to throw. The Steelers running game is based on the incredibly patient Le’Veon Bell who has the vision and physical tools to wait for the slightest crack in the defense and then burst thru the hole. Bell not only leads the league in rushing with 1105 yards rushing, but has 75 catches for 579 yards. He carries a tremendous workload on his shoulders and behind a very good offensive line is a guy who can easily take over a game by himself. The Patriots run defense has suffered all season. 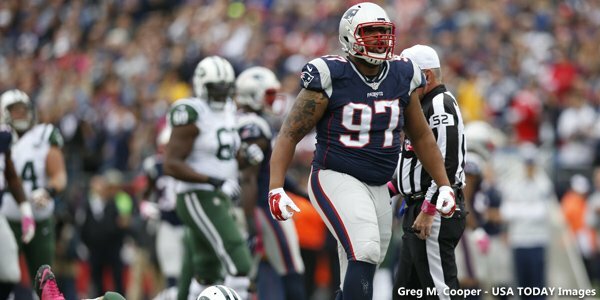 Injuries have piled up both on the edge and inside, the latest with Alan Branch who will miss Sunday’s game is a big blow for a Patriots unit that has struggled to stand up inside. This matchup is a clear, big advantage for the Steelers. Bell can control the game either on the ground or in the passing game and the Patriots will be hard pressed to keep him in check this week. If he consistently can grind out big gains on 1st and 2nd down, it will make the potent Pittsburgh air attack more deadly. Ben Roethlisberger has a plethora of weapons, arguably the best he’s ever had in a Steelers uniform to use in the passing game. Antonio Brown easily leads the NFL with 99 catches for 1509 yards and nine touchdowns. Brown is another guy that can take over a game and he had 213 yards against the Ravens last Sunday night. Roethlisberger uses Bell out of the backfield, Jesse James at the tight end position as well as JuJu Smith Schuster, Martavis Bryant and Eli Rogers. They’re heating up at just the right time of the year. The Patriots pass defense has undergone a transformation in the past seven games. Since a horrible start in September, the New England pass defense in the last seven is allowing an average of 193.1 yards per game. The secondary with Stephon Gilmore, Malcolm Butler, Eric Rowe and Jonathan Jones at corner have really picked up their game. And they’ll need to against this Pittsburgh talented group of receivers. Obviously, the keys from a New England perspective is how well they can slow down Brown and Bell, they won’t stop them. Even in games where the Patriots have won comfortably, have got their yards. The key is getting a few stops in the red zone. They’ll have to manufacture some pass rush pressure on Roethlisberger who has been sacked just 19 times this season. And force him into getting rid of the ball before he can find one of his receivers downfield. The kickers in this one, the Patriots’ Stephen Gostkowski, and the Steelers’ Chris Boswell are both having outstanding seasons. Both have been money on big kicks from long range. What has made Gostkowski so special this season are his kickoffs, which are pinning teams deep. The Patriots’ outstanding coverage units are smothering the opposition. They’ve also gotten some big plays from Special Teams. The Steelers units rank lower to the bottom of the league in punt and kick returns. The Patriots could use a big play on Special Teams this week on the road. This one should be another Patriots-Steelers instant classic. With the top seed of the AFC on the line, whoever wins this one will have the inside track for home field advantage throughout the playoffs. Pittsburgh has been openly clamoring for this one since March and have proclaimed themselves to be “a team of destiny.” Coach Mike Tomlin hasn’t shied away from it either saying the Steelers should win the Super Bowl. The contrast is, of course, Bill Belichick, while the Patriots know what is at stake, he never lets the team’s focus get too far ahead. To them, this week is a big game, obviously but they say that about every week. Everything is breaking right for the Steelers, they’re hitting their peak at just the right time and get a Patriots team that is banged up with 13 players on IR and 10 more questionable to play on Sunday. Plus they get it at home where they have a better home record in the last decade-plus than anyone…except New England. 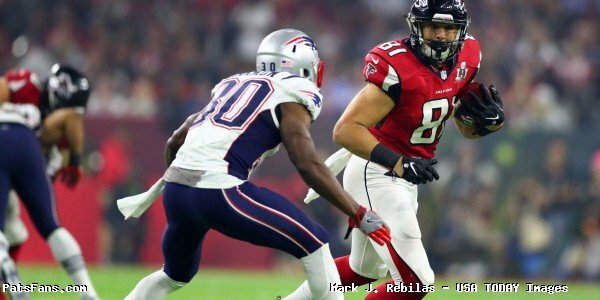 This entry was posted in 2017 Patriots Season, NFL Commentary, Patriots Commentary, Patriots News and tagged 2017 Patriots Season, Alan Branch, Anthony Heyward, Antonio Brown, Ben Roethlisberger, Bill Belichick, Chris Hogan, Danny Amendola, Dion Lewis, Eric Lee, James White, Julian Edelman, Kyle Van Noy, Le'Veon Bell, Malcolm Butler, Miami Dolphins, New England Patriots, NFL, Patriots, Patriots edge rushers, Pittsburgh Steelers, Rob Gronkowski, Ryan Shazier, Stephon Gilmore, T.J. Watt, Tom Brady, Trey Flowers on December 16, 2017 by Steve Balestrieri. During Week 13 of the NFL season, players and coaches around the league will be participating in the “My Cause My Cleats” campaign. The Patriots official team Instagram shared a glimpse into the designs and causes members of the team will be promoting on Sunday against the Buffalo Bills. #mycausemycleats I chose pregnancy and infant loss,my wife and I lost a baby when she was five months pregnant and i realized there is such a strong stigma around pregnancy loss and it’s very important for families to know there are resources out there to help them grieve. @nowilaymedowntosleep Vegas strong for my city of Las Vegas who was deeply affected by such tragedy so many innocent lives lost! I’ve built a lot of great friendships and have met a lot of great people working with @bestbuddies #mycausemycleats Thank you to @jeffroseking for designing my cleats! Can’t wait to wear these for #mycausemycleats week in the @nfl on behalf of #teamjack Be on the lookout for them to be auctioned off by the league afterwards in which all proceeds go to @teamjackfoundation and it’s fight against pediatric brain cancer! Thanks to @joevdesign for his great work on the cleats! 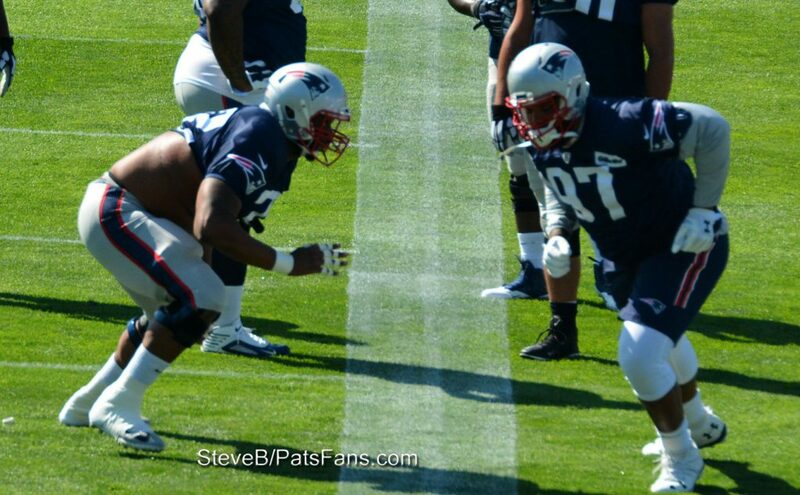 This entry was posted in Patriots News, Patriots Photos and tagged Alan Branch, Bill Belichick, Brian Hoyer, Devin McCourty, Dont'a Hightower, James White, Kyle Van Noy, Lawrence Guy, Nate Solder, Rex Burkhead, Tom Brady on November 30, 2017 by Robert Alvarez. When it comes to figuring out the offseason moves for the Patriots, saying that they’re one of the most unpredictable teams in the NFL would be an understatement. Thursday’s start to free agency only further reinforced that, with the team making more headlines thanks to the trade the Patriots pulled off to replace Martellus Bennett, which leaked out just one day earlier that they were acquiring tight end Dwayne Allen from the Colts. The fact Bennett wasn’t coming back wasn’t nearly the surprise that learning the Patriots had found common ground with the rival Indianapolis Colts was. 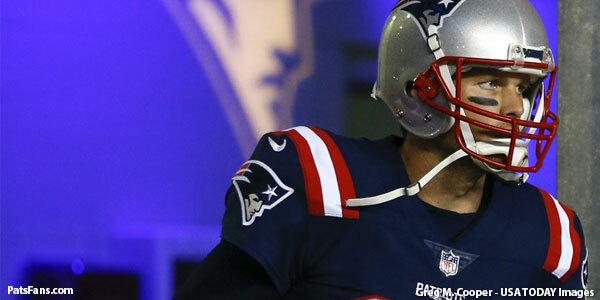 Yet New England managed to fill a key need yet again, setting themselves up to have another offensive weapon in Tom Brady’s arsenal heading into 2017 and it cost them just a 4th-round draft pick. Bennett said goodbye to the fans on Twitter Thursday and he’s reportedly receiving interest from the Oakland Raiders as well as the 49ers. As a result, it sounds like he’s headed to the West Coast, with warm weather and a big payday likely in his future. But the bigger shock came on Thursday with the news that negotiations of a potential contract extension with Malcolm Butler have seemingly turned sour enough that the Patriots are potentially exploring trading him to New Orleans in a deal for receiver Brandin Cooks. That in itself is hard to fathom, especially given what a big part of their defense that he’s been. 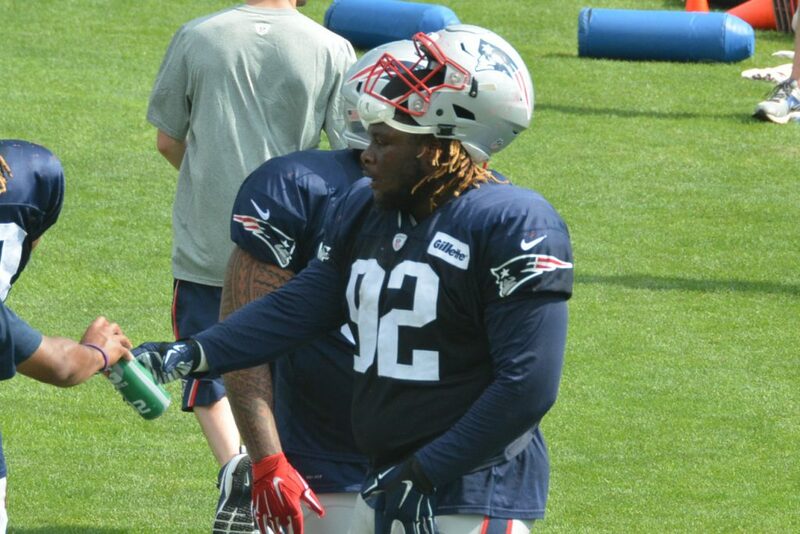 However, things apparently haven’t been great behind the scenes with New England’s number one defensive back. According to a report from Mike Giardi, Butler hasn’t been happy with his salary since last spring and the offer he received during the year on a potential extension apparently wasn’t enough and despite being a key part to them winning their fifth title, it didn’t go up after the season ended. That leaves Butler where he is right now, without the raise he’s looking for and not in control of his immediate future. As a restricted free agent, the team placed a first-round tender on him, which puts them in the driver’s seat heading into next season, unless another team is willing to give up a first-round pick to obtain him. The situation got even more interesting Thursday and Butler should really be seething, having learned the Patriots signed former Bills CB Stephon Gilmore to a 5-year deal worth an astonishing $65 million, $40 of which is reportedly guaranteed. Gilmore, you may recall, was the cornerback in coverage on the bomb Brady threw to Chris Hogan when the Patriots played the Bills on the road this season, who blew by him for the touchdown. Not that the play was entirely his fault, but the fact the Patriots chose to break the bank for a player who has yet to prove anything in their defense over a guy who has done everything he’s been asked to do doesn’t make a lot of sense. It’s definitely a puzzling decision and one which likely sends a mixed message to other players in the locker room. 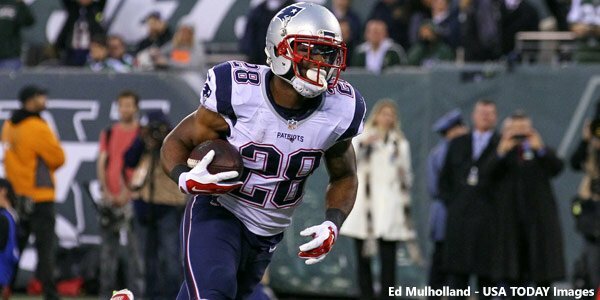 What the future holds for Butler remains to be seen and some believe the move to acquire Gilmore may have more to do with what’s happening with Logan Ryan (who is reportedly garnering interest from Tennessee). But either way, the Patriots have now set the value of that position in their secondary, and it’s hard not to feel like Butler got the short end of the stick with what transpired Thursday. It will be an interesting situation to watch because on paper, with Butler still part of the team, the Patriots have one of the best secondaries in football. Now the only question is how things will play out and whether or not he’ll be a part of it in 2017. 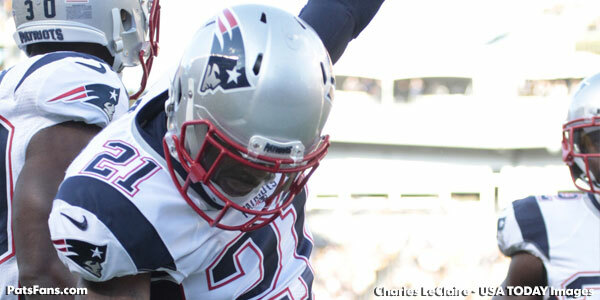 Meanwhile, the Patriots did have some success on Thursday, with Jeff Howe of the Boston Herald reporting that safety Duron Harmon is back in the fold, with the veteran agreeing to a four-year deal worth $17-million, which includes incentives that would earn him up to $20-million. Harmon has quietly been one of New England’s most consistent players in their secondary and the fact they were able to keep him is their first big success of the offseason. 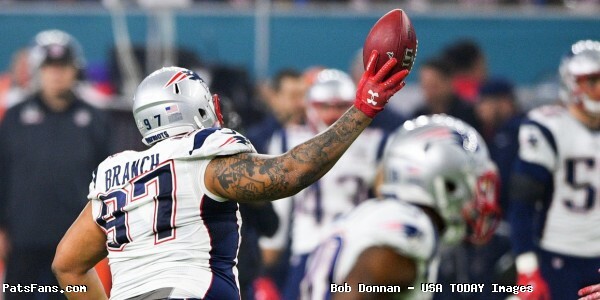 Their second came when they managed to re-sign Alan Branch to a 2-year deal, keeping one of their most important players up front around for at least a couple of more seasons. The deal is reportedly worth $12 million and allows New England to keep one of their key components on their defensive line intact for a couple of more seasons. Meanwhile, Jabaal Sheard remains on the market, with Ian Rapoport reporting that he was in Miami visiting the Dolphins Thursday. 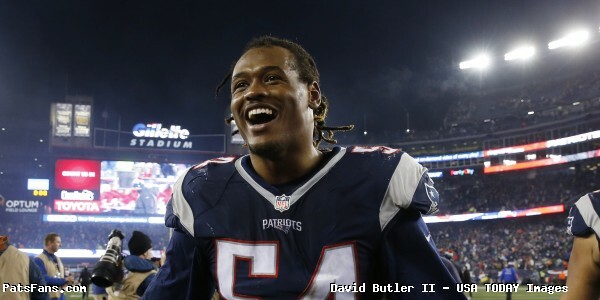 One of the biggest loose ends still hanging out there is linebacker Dont’a Hightower, who is reportedly receiving interest from Miami and Tennessee, seems to be closer to re-signing with New England. Rapoport reports that the two sides are in good communication and so far, it sounds like the Patriots remain in range of his asking price. New England reportedly offered him $10 million per season at the beginning of 2016 and so far, according to ESPN’s Ed Werder, the veteran is seeking between $10 million and $13 million. Keeping Hightower remains one of the biggest keys of the offseason, as Bill Belichick would likely have a tough time trying to fill his shoes considering the fact he’s a respected leader in the locker room as well the guy who is essentially the quarterback of their defense. For now, it sounds like his return is no longer as big of a long-shot as it might have seemed prior to the beginning of free agency, but there’s still a long way to go before this is over. He’ll likely continue to receive interest from other teams and hopefully, the two sides can reach a common ground before another club does. 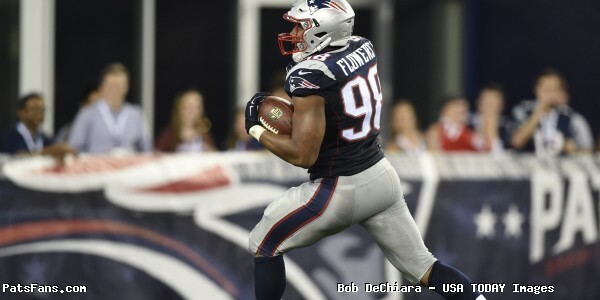 This entry was posted in 2017 Free Agency, Daily Patriots Rundown and tagged 2016 Patriots season, 2017 free agency, 2017 Patriots free agents, Alan Branch, Bill Belichick, Buffalo Bills, Chris Hogan, Duron Harmon, Malcolm Butler, New England Patriots, NFL, Patriots, Stephon Gilmore, Tom Brady on March 10, 2017 by Ian Logue. When the trade of Chandler Jones went down last March, the move seemed to be the signal of New England’s decision to ensure they would be able to lock up Dont’a Hightower and Jamie Collins for the foreseeable future and maybe even extend Malcolm Butler and possibly a couple of other players. Nearly a year later, none of that happened. 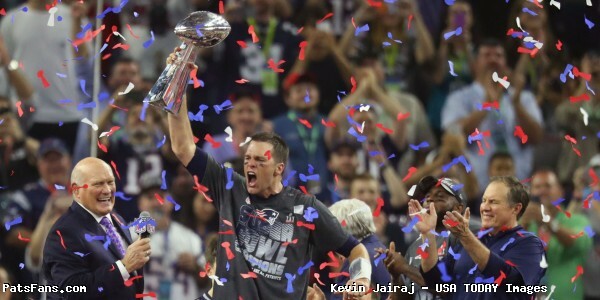 Hightower is coming off of a solid season, which included a key play in Super Bowl LI that allowed New England to get back in the game and ultimately pull off a historic comeback to win their fifth title. As for Collins, he was shipped to Cleveland midseason, rumored to be because of problems stemming from not sticking to the team’s defensive scheme and potentially becoming an issue in the locker room. Meanwhile, Butler had another great year and is closing in on being a restricted free agent, having played for right around $600k for 2016, far below his market value. New England is in the driver’s seat with Butler, but the fact he hasn’t yet been locked up for the long-term is still an interesting situation. It’s possible the Patriots may have wanted to be sure his terrific showing in 2015 wasn’t an anomaly and if that’s the case, he’s cernatainly shown that he should be part of the team’s nucleus moving forward and is worthy of a pay increase. But the fact that no extensions came about is interesting given the fact that things had seemed like they were shaping up to go that route. The Patriots had made their moves, all that was seemingly left to do was to work out the numbers. Yet nothing was ever worked out with any of those players, but it’s not like they didn’t try. According to Ian Rapoport of the NFL Network, before this season, the team offered Hightower a deal worth more than $10-million per season and he reportedly turned it down. The team could use the franchise tag (worth around $14 million), which the team has done in the past with another key player on defense in Vince Wilfork (2010) before eventually reaching to an extension. Whatever they come up with will have to be competitive as he seems focused on making sure he’s paid appropriately after making two game-saving plays (his stop against Marshawn Lynch two years ago set up Butler’s game-winning interception) in two Super Bowl victories. Behind Hightower is defensive back Logan Ryan and safety Duron Harmon, who have each been solid in their roles on the defense. 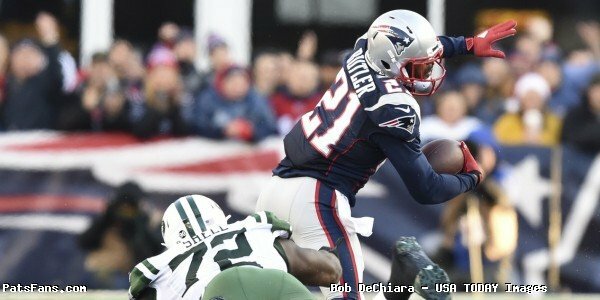 As a cornerback, Ryan will likely garner interest in the open market and may enter a price tag that could just become too high for the Patriots, especially given how much they’ll eventually need to pay Butler. The same could be said for Harmon, who has played his way into earning a big raise and he’ll likely get it from a team looking for such a talented player to add to their secondary. Branch joins Hightower among defensive free agents this offseason. 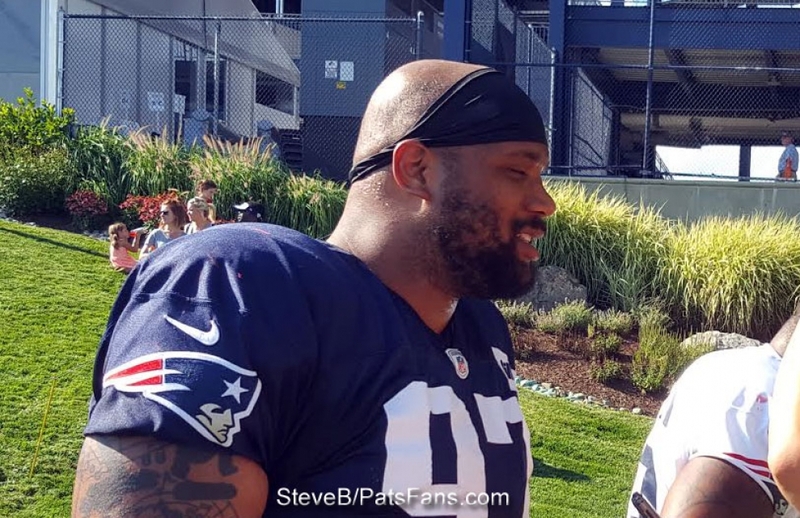 There’s also Alan Branch, who the Patriots caught a major break with after the veteran won his appeal to avoid a late season suspension that could have jeopardized their solid finish and cost them their top seed. His value up front can’t be understated, and he’s proven he’s a key part of their defense. Then there’s Jabaal Sheard, who had a rough year but came on strong down the stretch, and he’s another player who New England will likely try and keep. The same goes for Chris Long, who took a while to really get comfortable in this defense but got stronger as the year went on and proved to be a smart pick-up before the season. The fact there are so many players will be a challenge, and oddly enough, It seems like it’s the first time that whatever plan the front office seemingly had to be proactive didn’t seem to work out. It’s almost to the point where it’s hard not to wonder if there’s a collective effort out in the world of player agents to finally try and stop this juggernaut from underpaying guys in what they feel is too low below market value. Given similar situations in the past, the fact nothing got done between last March and September is a bit of a red flag, and a curious situation to say the least. Either way, this team faces some difficult challenges on the defensive side of the football this offseason as they try and keep their nucleus intact. Success tends to result in big paydays since other teams want a taste of what each of these players just accomplished, and it will likely make things interesting in the coming months. But with a higher cap number and over $60-million in cap room, the Patriots certainly have the space to get it done. Now it’s just a matter of making the numbers work. Hopefully, unlike last year, they’ll have a little more success this time around. 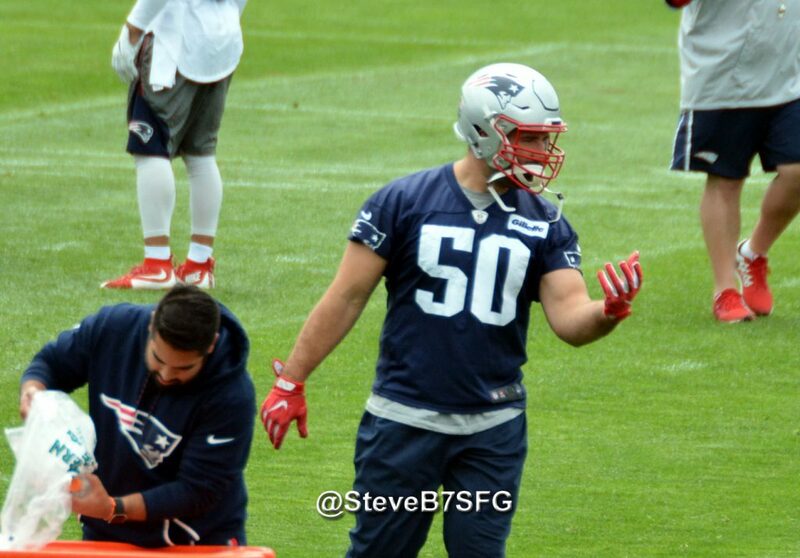 This entry was posted in 2017 Free Agency and tagged 2016 Patriots season, 2017 free agency, Alan Branch, Chris Long, Dont'a Hightower, Jabaal Sheard, Jamie Collins, Malcolm Butler, New England Patriots on February 13, 2017 by Ian Logue. The Patriots will enter the 2017 offseason with a ton of cap space ($61,248,593 according to our own salary cap guru in Miguel @patscap) but have a lot of players hitting free agency. There is a total of 19 players that are free agents this spring. It begins with 13 unrestricted free agents, three restricted free agents, and three exclusive-rights free agents. So, what are the differences in the categories you ask? Well, I’m glad you did… sort of. The Patriots can extend any of the players below to a new deal prior to the March 9th deadline. Once the deadline hits, then that is when the different categories come into play. The Unrestricted free agent is free to sign with any team for basically the best deal for the player, whether it be the money, the team or any other reason. Restricted free agents can be offered one of three “tenders” by the team holding their rights. They are for players with just three years of accrued service in the league. Since most rookie contracts run for four years now, they are becoming rarer. The original round tender means that if another team swoops in and signs a player, his last team would get a draft pick from the round that player was drafted in. In the case of a UDFA, the team would get nothing. The team has the right of first refusal as well if a team were to offer a restricted free agent an offer, the Patriots have the right to match it. Exclusive rights free agents haven’t accrued three years of NFL service and if the team extends them an offer sheet, they have to sign it. So while the Patriots have tons of cap room, they also have some big decisions to make in regards to 21 free agents. The ERFAs are the most easily done if they want to keep them they are the easiest to retain. But from there the questions become a bit stickier. We’ll be looking at some of the free agents in depth in the upcoming days. Who may stay and who may go. Any questions regarding the salary cap and the inner workings of it should be addressed to Miguel aka @Patscap who covers the salary cap of the Patriots better than anyone else anywhere. 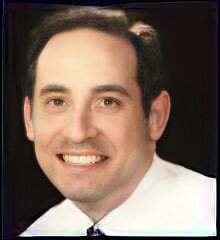 We are fortunate to have him here at PatsFans.com and he has the breakdowns of the deals and how it all works. 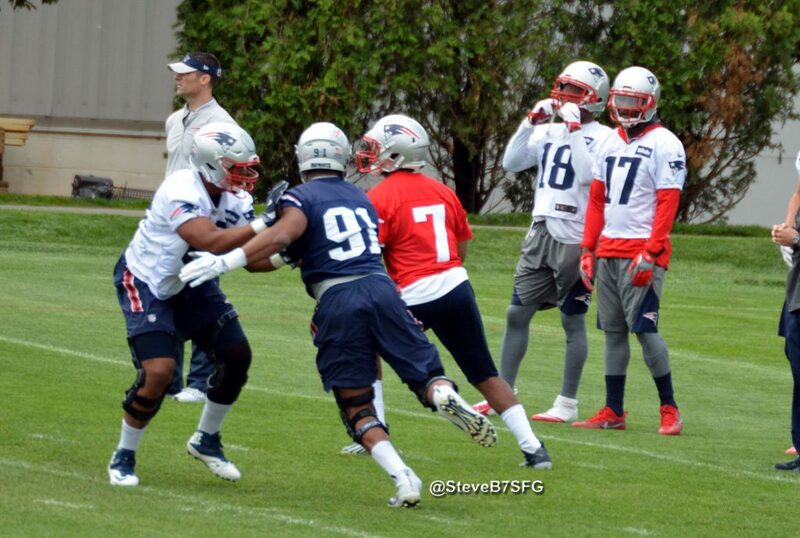 This entry was posted in 2017 Free Agency, Patriots Commentary and tagged 2017 free agency, Alan Branch, Barkevious Mingo, Brandon King, Cameron Fleming, Chris Long, Dont'a Hightower, Duron Harmon, Geneo Grissom, Greg Scruggs, Jabaal Sheard, James Develin, Justin Coleman, LeGarrette Blount, Malcolm Butler, Matt Lengel, Michael Floyd, Patriots free agents, Sebastian Vollmer, Trevor Reilly on February 9, 2017 by Steve Balestrieri.